Water pipes burst. Water heaters break. Drain lines clog. Flood water. Sewage backups. 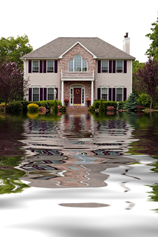 Whatever the cause, First Priority has the experience, technology and immediate response time you need to minimize flood damage and business or home life disruption. First Priority can save you money, and we can work directly with your insurance company. On-Site in 90 Minutes, Day or Night! When water damage occurs, it is important you take swift action. We provide around the clock 24/7 emergency water damage response. First Priority’s advanced drying and dehumidification techniques rapidly removes water and moisture from water damaged carpets, floors and walls. First Priority technicians employ specialized moisture meters and infrared technology to ensure that the area that has water damage is dried completely, and the threat of mold growth is eliminated.